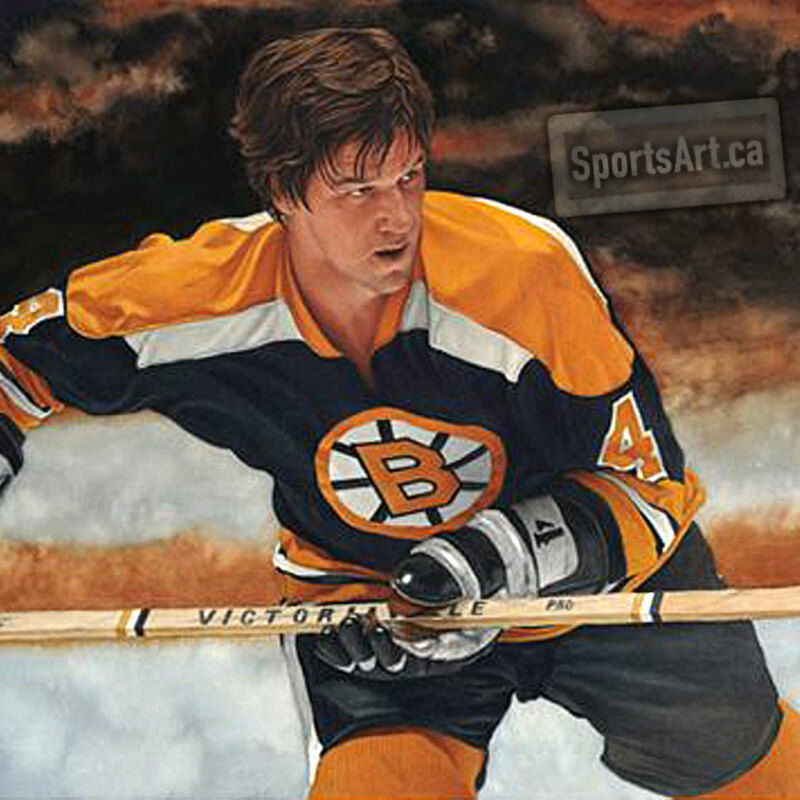 Bobby was the first two-time winner of the Conn Smythe as playoff MVP, leading the Bruins to both Stanley Cups. 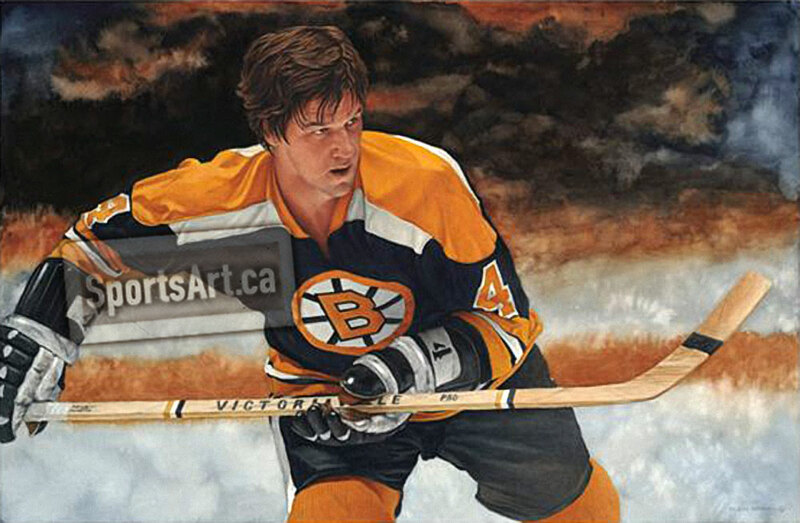 In an injury shortened career, Bobby Orr is the only defenceman to ever win the Art Ross Trophy leading the NHL in scoring – he did it twice! Original Framed Watercolour – 26×17"